Glory be to God for putting this in your heart. I was hoping to send this to you directly, but couldn’t find a way to contact you, so I figured I’d just comment on your most recent post. I noticed that you liked several of my latest posts about my Domestic Violence story on my blog, becomingbeautifultoday.com. I just wanted to reach out and say thank you for your support. It means a lot to me that you connected enough with my story that you came back to keep reading it. Great poetry! You’ve got some great posts on this site, and I really like this. Also, thank you for stopping by my site! Frank this is a good poem. I have a concern with a couple of the rhyming couplets. “He always answered my prayers” could be changed to “He answers every prayer.” This would keep your iambic meter but rhyme more readily with “care”. Okay, Frank. That’s my favorite poem, ever. Can I please put it on my Facebook page. 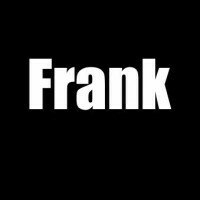 I love ya’ Frank! That was awwwweeesssooommeee, to me. The insistence of the poem drives it forward with force. I like the strong rhythm as well. This is really something. Loved it. Thanks for sharing. Thanks and I hope that today is going great for you!